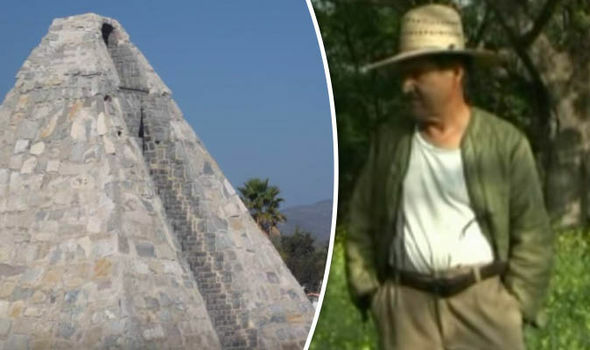 Raymundo Corona says he erected the 22 feet stone temple after being visited by a tall man calling himself Herulayka, who had honey-coloured eyes, white hair and from a planet called Nefilin 20 times the size of Earth. He told a local paper the alien said he was from the constellation of Orion. 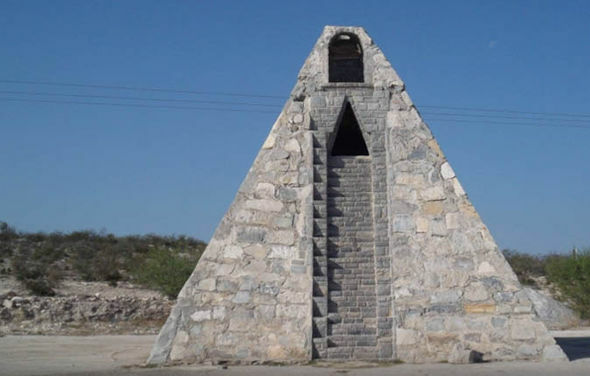 He built the pyramid close to Monclova in the state of Coahila near the Mexico-US border, despite being warned he would be taken for a drunk or a drug addict if his story ever came out. Mr Corona, 33 when he claims the alien visited him in 1984, said: “He told me to build the temple in the form of a pyramid. Recalling the moment he asked his mysterious visitor his name, Mr Corona told Mexican daily La Vanguardia that Herulayka had warned him: “Many people will laugh at you, defame you and say it was an act of insanity or something he did during a bender, it was an act of a madman or a drug addict. 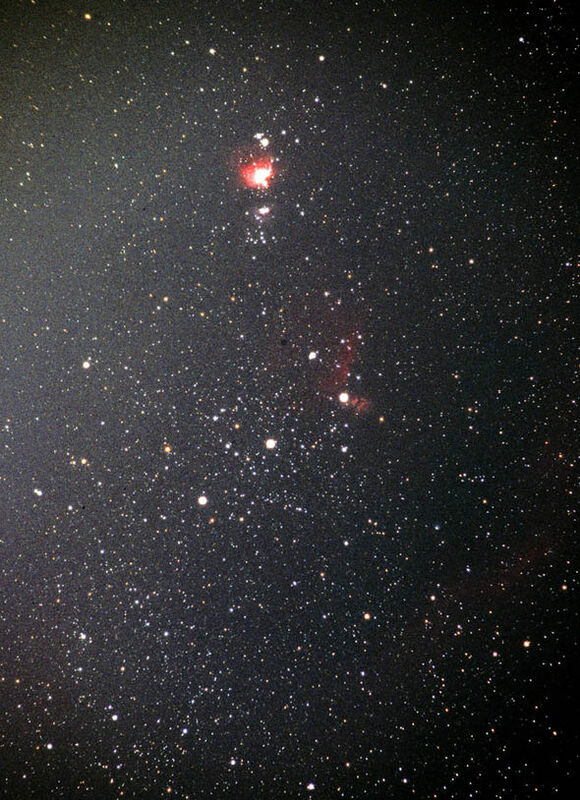 “He told me he came from the constellation of Orion, from a place called Nefilin which is a place 20 times larger than Earth where people are similar to human beings. Mr Corona, whose wife was less than a day away from giving birth to his daughter at the time, says he had seen the alien in dreams before their meeting in person. He said the extraterrestrial had claimed humans were destroying their own planet and should wake up to the fact they must look after it like a child because it gave them what they needed for their own survival. Monclova is less than 600 miles from Roswell in New Mexico where a US Air Force surveillance balloon crashed in 1947, sparking rumours it was actually an alien spacecraft. Mexico is said to be the most active country in the world for UFO and alien sightings. Last summer video footage emerged allegedly showing an “alien humanoid” on the roof of a building in Nuevo Laredo, northern Mexico.